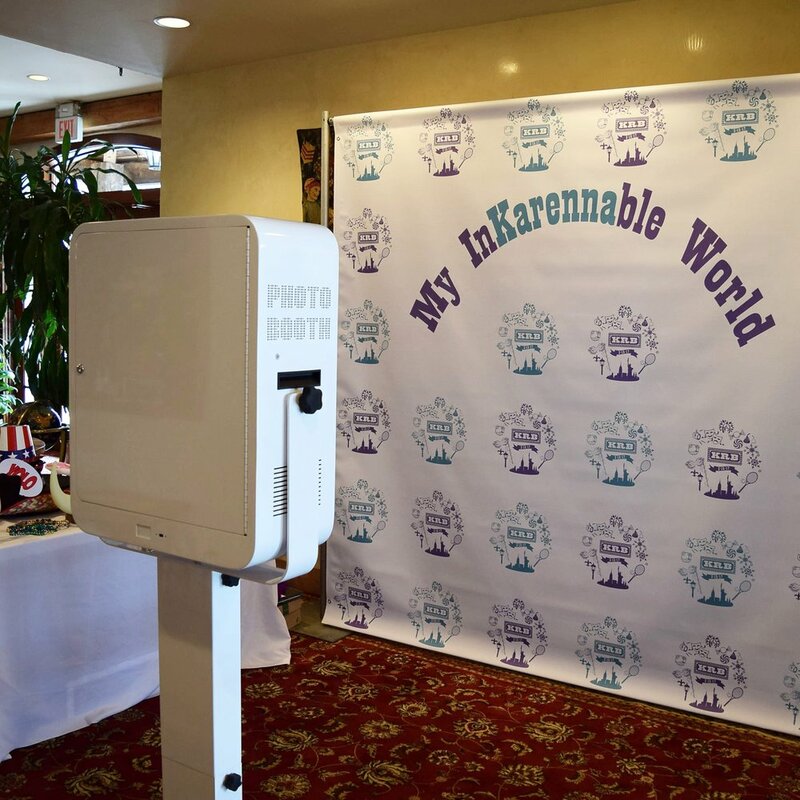 All of our four-hour photo booth rentals include customizable instant prints. At the end of the event, your guests have a fun keepsake and you have both a usb card and a scrapbook made on-site by the booth’s attendant with the help of your friends and family. The original retro-style booth. Couples and small groups have an intimate moment while creating their keepsake. The booth comes with an optional 10-photo slideshow of bride and groom featuring pictures you have previously submitted. This booth is great for large groups. Friends and family can pile in to take funny photos that they (and you) will cherish. Choose from one of our stock backdrops or we’ll design a custom step-and-repeat backdrop especially for you (additional fee). Let everyone get in on the fun. It’s inflatable, it’s colorful, it’s a bubble booth! Your guests will love this fun twist on a traditional photo booth.